Anyone who has looked for the right LED aquarium lights can agree that affordability, performance, and style are most important. That was our top criteria for selecting the best LED aquarium lights. The FinnexFugeRay LED Aquarium light scored high marks in all categories and is our top pick for your aquatic environment. You may not have known that aquarium lighting does more than just make you aquarium look nice. It plays a big role in the health of the plants and fish you have in the tank as well. These top rated aquarium lights are popular choices with customers based on performance, affordability and aesthetic appeal as well. There are so many different lighting choices that choosing the right one for your tank might feel like nothing but guesswork. We’ll take the guesswork out of it for you by providing reviews on these top rated LED aquarium lights as well as providing you with much more information that will help make this choice much easier. Aquariums are really enjoyable to have whether it’s set up in your home or in your business. Learn all about the right lighting for the aquarium you have or want to set up and you won’t have to choose your aquarium lighting based on guesswork ever again. Planted+Aquarium Light with Moonlights features an ultra slim design that provides LEDS that promote the growth of your plants and the health of your fish. Flip a switch and you can activate the moonlights in the evening or any other time you choose for a soothing moonlight glow. There is a PC splash guard that protects the lighting from getting water on it and causing problems. This model from Finnex also has red LEDs that are true 660nm REDs. These have been proven to provide the best wavelengths for growing healthy and thriving plants in your tank. The LED bulbs are designed to provide 40,000+ hours of use and with the LED spread being 120 degrees; you can light up any aquarium, even the large ones. Due to the unique leg fixture that is part of this LED aquarium light design, you can mount it on different sized aquariums with no issues. The circuit boards are made from high quality aluminum with extends the bulbs lifespan and provides plenty of cooling and heat dissipation throughout the tank. You get an LED plus mounting fixture and 2 adjustable docking mounts with this Freshwater LED aquarium light from Current USA. The new sleek design is very low profile and provides the lighting conditions you need for a terrific and healthy aquarium. You can enjoy the ultra bright white LEDs and well as full spectrum, RGB LEDs. Create an endless amount of color combinations using the individually adjustable controls for each color. The dynamic mode provides the real world aquatic look for those who want to have the lifelike ocean feel to their tanks. The Current USA LED aquarium light is low voltage, water resistant and safe when used properly. It also comes with a 12v DC UL transformer and wireless remote control so you can control the lights from your sofa and not have to get up to do it. If you’re looking for color and high definition to your aquarium, look no further than the Marineland Double Bright LED Lighting system. This modern designed aquarium light is sleek and stylish, providing the tank with even lighting. It has adjustable mounting legs that are built to accommodate any size aquarium you have. The side mounted on/off switch has three different modes to choose from including daytime, lunar and off to provide you with the variety you are looking for. The polycarbonate lens focuses the light where you want it and also protects the LED bulbs. Provide stunning shimmery light effects that mimic the sunlight coming through the ocean waters or choose the lunar setting for a moonlight glow that fills the room with soothing light that will please everyone. The Energy saving LEDs do not need replacing and provide a higher output that usual fluorescent lighting. Each light system is rated for 17,000 hours of long lasting light. All it takes to power this aquarium light is one low voltage AC cord so not only do you have less hassle to deal with, it will save money as well. Because of the efficient LED bulbs that make up this lighting system, they are cool to the touch and you won’t have to worry about the tank heating up. It is quiet to run as well. All three of these efficient and sleek top rated LED aquarium lights will provide hours of beautiful lighting for your aquarium set ups. Each one has its strong points but all three are designed with one thing in mind and that is to provide you with the kind of lighting that makes your aquarium stand out and look beautiful while not causing undue energy usage or heating up the tank. You can use any one of these top rated LED aquarium lights with your tank regardless of the size and have sunlight effects or the soothing, beautiful moonlight look as well. When it comes to choosing the right LED aquarium lights, you may be wondering what you need to consider. You don’t want to just guess and choose anything. Continue reading below and we’ll teach you all about what you need to consider and look for when you shop for your aquarium lights. The detailed buyer’s guide will give you information on the uses of aquarium lights beyond just lighting the tank and will help you understand how to figure out which the best one for your needs is. There are many different reasons to get aquarium lights and many different options to choose from. You can expose your tank to excessive algae by having too much light and if you don’t have enough light, the plants, fish and coral you have in your aquariums will not be as healthy or grow the way they are supposed to. Natural sunlight is not a good option for many reasons, one of which is that it will heat up the tank and require the purchase of a chiller for the water which can be very expensive. They provide important energy for your live plants so they can grow properly. It provides the primary light source for your other live organisms in the tank including coral and any fish or other sea animals. It allows the observers to see the tank and all the inhabitants much easier. With all of these great benefits to having aquarium lighting, you will want to get the best lighting for your tank that you can. No one wants to get an aquarium all set up and then not be able to see inside or have all of the fish and plants do poorly or wore, die, because there isn’t a good light source for them. With all the choices available, there is no reason to have this happen. You just need to know a few things so you choose the right aquarium lighting for your tank’s needs. LED aquarium lights are much better than fluorescent lighting for many reasons. Even though it is relatively new, the benefits to using it have far surpassed the older choices that you’ve had for so long. There are many benefits that a fish owner gets by using LED lights for the aquarium. One of the first things that people love and notice about using LED lights is that they are cost effective. They don’t usually cost more than the traditional fluorescent lighting but the savings is significantly more. Another benefit is that they bulbs last much longer than regular ones used for aquariums. Typically you can expect to get 30,000 to 50,000 hours out of the LED bulbs which is another cost savings users see. Another very important benefit LED aquarium lights provide is that they generate less heat than traditional aquarium lights. They do produce some heat but that heat is going to be felt directly around the bulb itself and not be radiant heat that can affect the water temperature. This enables owners to not have to get an expensive chiller to offset the heat of the bulbs. That amounts to even more savings. You will find that your coral, plant and fish life benefit greatly from the use of LED aquarium lights. They produce 8,000K to 10,000K of light which is very good for the growth of these live organisms. When they have plenty of light, they thrive and flourish and stay healthier overall than if the lighting is poor. That can actually reduce their ability to grow. The compact design of LED aquarium lights is great for owners that don’t want a lot of bulky lighting around. By being so compact, you have more options on placement that still allow easy access to the tank itself for maintenance and adding water. There are some LED aquarium lights that are waterproof and can be hidden around the edge of the aquarium. They are also adjusted very easily. Some models of LED aquarium lights are expandable and interchangeable so you can add lights, add different color bulbs in many different locations around the tank and even remove some lights if you want to. Another great feature is that they are able to be dimmed. You can choose to have a bright day full of sunshine or even make it appear that the moon is out and the water is cloaked in moonlight. You have a lot more options with LED aquarium lights. In addition to be adjustable, you can also provide effects for your aquarium. A fish owner favorite is the shimmering effect that mimics the sunlight bouncing off the coral, plants and fish themselves. By using different effects and colors you can create a spectacular atmosphere that really showcases the fish and creates a beautiful addition to any room. Last but not least, LED aquarium lights are much safer than the traditional fluorescent lighting or metal halide lighting. You have no worries about noxious gases or filaments and some are even water resistant. Here are some fun things that you can and should do with your LED aquarium lights. They are really enjoyable to have and can make having a fish tank even more relaxing and nice. Make Good Choices – Choose LED aquarium lighting from reputable manufacturers that are known for their longevity and quality. Be sure to know exactly what you are getting by researching the description of the LED aquarium lights that you are considering. Have Fun with Different Color Combinations – Since you have the ability to change and adjust the LED lights, why not try out different color combinations? There are even guides available that can help you choose color combinations that enhance freshwater or saltwater aquariums. You will be amazed at what certain colors do to the colors in the tank. Working with Your Dimmer Switch – The dimmer switch on the LED aquarium lights can tone down the brightness and is also great for blending several colors. Because it can work independently with each color, you can dim one and brighten the others to create whatever effect appeals to you. The other benefit to dimming the LEDs a bit is to save even more on energy and usage. Make Sure the LEDs are Ventilated Well – Even though LED aquarium lights don’t cause the water in the tank to heat up, you will notice that they can generate heat upwards. If there is a lot of heat, this can shorten the life of the LED chip significantly. The way to minimize this is to keep them cool by providing plenty of air circulation around the LED strip. This allows heat to go away around the heat sink and vertically as well. 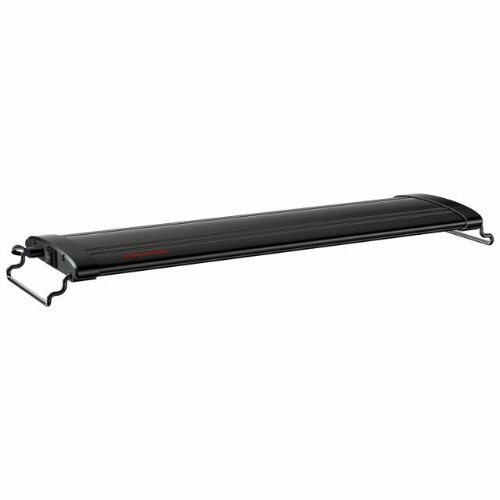 If you have your LEDs under a canopy or hood, add a cooling fan to make sure that there is plenty of airflow. You can Grow Things – Coral and live plants are two of the things that LED lights will grow. If you love having live elements in your tank, your LED aquarium lights will aid in their growth. Don’t get them Wet – Don’t let “water resistant” fool you. This does not mean that you can submerge them or use them underwater. If you LEDs get exposed to water for too long it will damage the circuit board and cause the hardware to corrode. It is best to not allow them to touch water at all if possible. Don’t Let LEDs get too close to other kinds of lighting – If you mount your LED aquarium lights too close to other kinds of light, this will result in the increased lessening of the LED’s lifespan. This is especially noticeable with metal halides. Don’t Burn Corals – Some corals can bleach white or burn when under very intense lights or if they are subjected to sudden changes in brightness. You should take time to slowly acclimate your corals to any new LED aquarium lights you add so this does not happen. LED aquarium lights have come a long way from where they were years ago. Technology and advancements have made them some of the best aquarium lighting on the market for the reasons we’ve mentioned above and more. 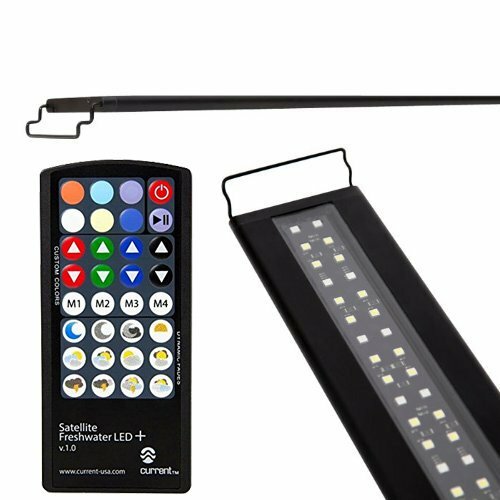 There are a lot of different kinds of LED aquarium lights out there, but if you know what effects you want to create, you will be able to sort through the different models available fairly easily. Lighting is a major part of having a beautiful aquarium, and as you read in this guide, it’s very beneficial to the plant life, coral and fish you have in the aquarium as well.